Ursel held her breath. She slid her feet up onto the oak branch so she lay hidden. The red deer calf from last year trotted at the heels of its mother. They drifted from clump to clump of grass and curled their tongues around the stalks, searching out juicy shoots. The mother hind’s flanks were rounded out with the new little one growing inside. Their pungent scent on the breeze tickled Ursel’s nostrils. They couldn’t smell her, upwind – or the hunters. A twig cracked and Ursel inched her head round. A man’s beard bristled in the cover of a holly bush. Low sun glinted on a steel arrowhead – pointed straight at the hind. Her mother’s words buzzed in her head – something about not upsetting her uncle, how they depended on him now. Behind those words lay blackness and a cramp in her heart. She brushed the thought away as if it was a beetle in her ear. Ursel swung down and waved her arms. 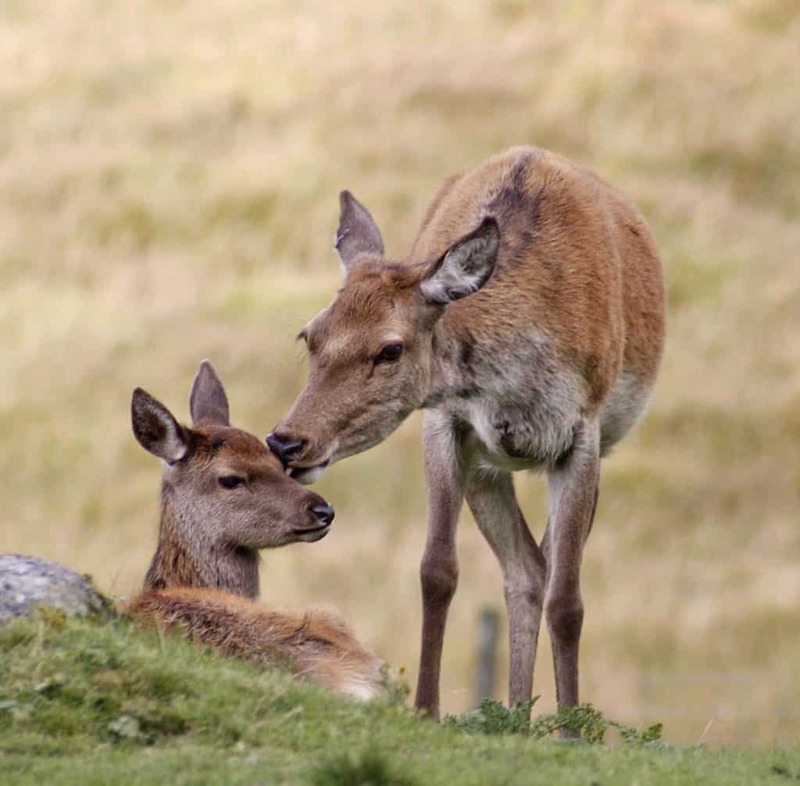 The hind’s brown eye met Ursel’s and she barked to her calf. Her uncle’s scowl told her he didn’t care. Men cursed, hounds bayed but the hind got clear. ‘Get a stag – an old one – don’t kill next year’s herd! It’s not right to target females.’ Ursel stood her ground, fists clenched. ‘How dare you!’ Her Uncle Kedric swung his fist at her. She ducked under his arm and dived into a thicket of thorn and hazel so dense the horses couldn’t follow. The wildwood wrapped itself round her. Cold shocked Meg’s body as she eased her head under water, as cold as Headman’s narrowed eyes before he hits you. She pursed her lips round the hollow reed in her mouth. She learned long ago not to let the chill make her gasp. The shelduck’s legs were just out of reach. She waited, hoping it would paddle nearer. A fish silvered past – she met its glance. Nobody to shout at her down here. What do clouds look like from under the water’s skin? Which way is up? Which clouds are real? Her breath, in through the reed, stirred the reflected clouds; her fingertip shattered the shine above her head to make a run of ripples. What if I could push through the fluff of clouds inside the sky, what would I touch above them? Would I prick my finger on a star, smooth it on the cool moon …? The ducks clattered away and she bobbed up with a gasp. Meg pushed her feet down into sludge, reached up to grab a willow-root and hauled herself out. I’ve only caught three small ducks! That won’t go far between everybody for the feast. Mother will frown. She wrung out her hair and the drops splattered the downy breast of the cloud in the water. Everything was slippery since her friends Ursel and Winfrith had gone cold on her, three months ago now, soon after Yule. Why? Just because May and I are slaves, and they’re free? Because they’re a bit older? None of that used to matter! Is there more? ‘Wait, May. That’s not one of our elder pipes. It might not be safe.’ Her little sister scrambled up the slope, ignoring bramble scratches in her eagerness. Meg slithered on the steep bit, climbed and panted up after her. At the top, she squeezed May’s hand and drew her close. Together they stared between white blackthorn spikes at the tall woman in the clearing. Music rose and tumbled out of the sky like lapwings; notes dived and swirled around. Low tones called to Meg and reeled her in. ‘How do you do that?’ she breathed to the lanky woman. Meg stepped closer, sniffing wild thyme in the folds of the stranger’s faded cloak. So! She came down the trackway along the chalk ridge. She’s from outside, not any of our settlements … from some place nobody knows about. ‘By the size of your eyes,’ the stranger went on, ‘I’d say you’re hungry for stories. Any more of you youngsters about? This looks like a good place to tell you about the queen who went off in search of a wise woman …’ She swept her arms round, pointing to the circle of logs in the clearing.